2 werken van Bruce Stanfield. Laatste werk is toegevoegd op 16-2-2015. 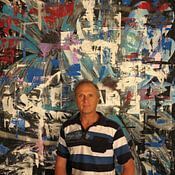 NZ born Artist, Bruce has had a number of creative endeavours, incl music, Commercial photography, writing & automobile customizing. Painting has always been the mainstay throughout his life.